A couple of weeks ago we looked at the best Web-based resources for Inkscape users — documentation and tutorials, sites and forums to follow, plus how to find brushes, palettes, scripts and extensions. It only seems fair to do the same thing for the non-vector-artists out there as well. GIMP is every bit as powerful and multi-faceted as Inkscape, of course, and getting the most out of it involves many of the same questions. 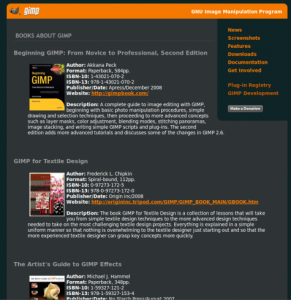 The official GIMP documentation is found at the GIMP web site, and its online manual is certainly the place to start. Although you’re probably familiar with most of the tool metaphors, the GIMP User Manual will help you get more out of the lesser-known tool options and explain some of the settings. Moving on from there, there have been plenty of quality GIMP books written over the years, most of which are cataloged on the GIMP site under gimp.org/books. Some of them are print-only, but many are available as online docs, too. That is the case for the canonical third-party GIMP instructional tome, Grokking the GIMP. Though you can buy a printed version and help support the author, the full text is available online, in HTML, for free. GIMP tutorials, you’ll be happy to learn, are not in short supply. 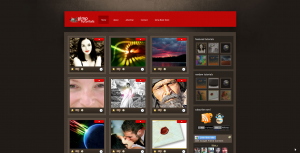 The GIMP home page maintains a hand-selected list, broken into different skill-level categories and split up by image-editing task — web, photography, even scripting. There are also several good GIMP-only tutorial sites. Despite the similarity in URLs, gimp-tutorials.net and gimp-tutorials.com are separate collections — some original, some from outside sources. They may compete in name-space, but you don’t have to choose — subscribe to both. Gimpology is a GIMP-centric site that exclusively links to tutorials written elsewhere on the Web, submitted by users. GHUJ is more-or-less the same, although it earns plenty of style points for its distinctive, gallery-like presentation, too, as well as its “random tutorial” selector. Finally, GIMPS.de puts its emphasis on photo-retouching, but has tutorials in its archive for all sorts of tasks. You should also check out general-purpose design tutorial sites; many have dedicated GIMP sections, including Pixel2Life, Tutorialized, and TutorialBlog.org. So, too, does the digital artist community site deviantART, which as you’ll see later, has plenty of other resources to share in addition to tutorials. GIMP user forums and discussion sites also tend to be excellent tutorial-finding spots. GimpUsers maintains a separate, curated tutorials page, while gimptalk reserves a special section on its discussion boards for tutorials and tips. Last but not least, almost any tutorial for another raster graphics tool will work for GIMP as well; so if you’re looking for a particular effect without luck, don’t forget to search for a Photoshop tutorial on the same subject. There are several examples of Photoshop-to-GIMP tutorial conversions on display at Lava360, for instance. Likewise, a lot of Photoshop and generic-graphic-design blogs provide good coverage of GIMP along with their other news topics, so you will find good resources like “30+ Exceptional GIMP Tutorials and Resources” fairly often outside the GIMP-specific world. As was the case with Inkscape, sometimes a video tutorial beats a written, screenshot-driven tutorial when it comes to explaining a particular process or technique, so video tutorials deserve a special mention. The leader in this category is Meet the GIMP, a site that specialized in original, video-based tutorials for the GIMP. They are detailed, and the archives contain well over 150 individual videos, in your choice of video formats. GIMPers.com also specializes in GIMP video tutorials, including practical “basic learning” episodes and wacky, out-there effects. Naturally, the general design/tutorial market has its share of GIMP video content as well. 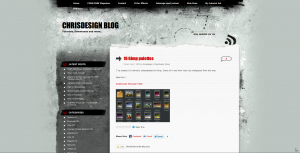 Check out the GIMP video section at Design Your Own Web, and the list at Six Revisions. And don’t forget that you can always find good user-created content — usually shorter in length — by saving a search at a video sharing site like YouTube. 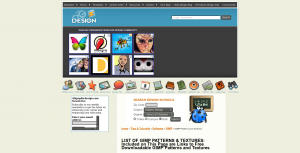 The main resource for GIMP blogging is GraphicsPlanet, which aggregates numerous GIMP and free software graphics developers and artists into one feed. There isn’t (currently) an official “GIMP development” blog, but if you want to follow GIMP’s changes and enhancements, there are some people to follow: Martin Nordholts blogs at chromecode.com, Peter Sikking at MMIworks, and Øyvind Kolås at codecave.org. Also be sure to check out GIMP writer Akkana Peck at shallowsky.com. You’ll also want to watch Libre Graphics World, an independent news site maintained by photographer Alexandre Prokoudine. LGW covers the full spectrum of open source graphics, including raster and vector graphics, photography, 3-D, typography, and much more. It’s often the fist place to report on new GIMP features and development releases. In addition to its aforementioned news content, LGW also hosts Web discussion forums, which are a good place to turn for user-to-user questions, whether newbie or seasoned pro. 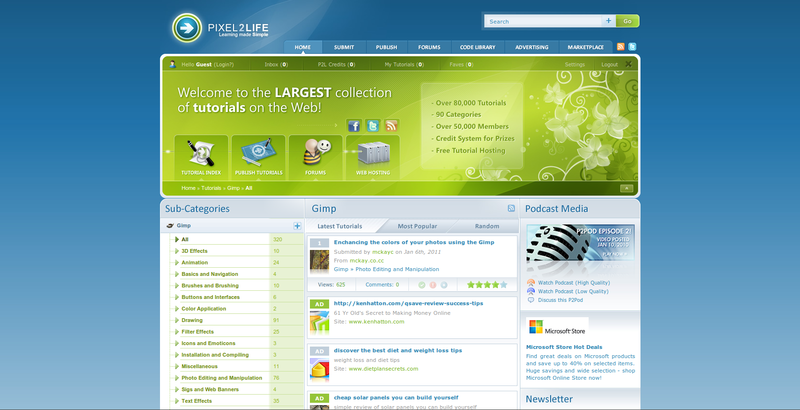 The same is true of Meet the GIMP’s forum section; though the top board on the page is for discussing the video tutorial episodes, there are dedicated GIMP sections (including a photography section and a user gallery section), as well as discussion boards covering more general graphics topics. In fact, it is one of the few open source graphics forums to have a dedicated hardware section, so if you’re experiencing trouble with your graphics tablet, it’s a good place to go. There are at least three major GIMP-only discussion sites worth checking out: Gimp Chat, GimpTalk, and the Gimp Users Group (GUG). They are, quite naturally, similar in nature — each has multiple subsections to organize the discussion, including photo-versus-web graphics, scripting and plugins, brushes and swatches, and user-written tutorials. If you’re looking for help with a particular subject, there’s no reason you have to limit yourself to searching just one of them. Finally, a number of the general-purpose digital artist forums on the Web have started hosting GIMP-specific sections, too, so be sure and check in there as well. 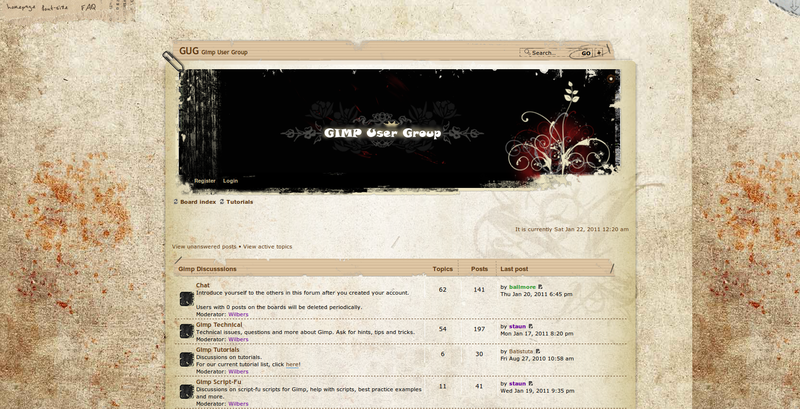 The #the-gimp channel at DeviantArt, for example, hosts discussions in addition to linking to all of the member designers’ work. Sharable resources like brushes, gradients, palettes and textures are popular discussion content for artists and graphic designers. You’ll occasionally see a design blog do a special post on GIMP resources of this nature, such as AG Design’s two part “ultimate” series on the GIMP. The truth is, however, that because GIMP is natively capable of using Photoshop’s brush and file formats, you don’t need to seek out GIMP-specific Web sites. The vast majority of what you’ll find at a Photoshop-oriented site like BlendFu works without any trouble in GIMP. But that doesn’t mean there aren’t GIMP-centric sites to visit, too. You might start with the official GIMP site’s tutorial on creating and customizing brushes. From there, persistent artist communities are among the best resources to search for new brushes. 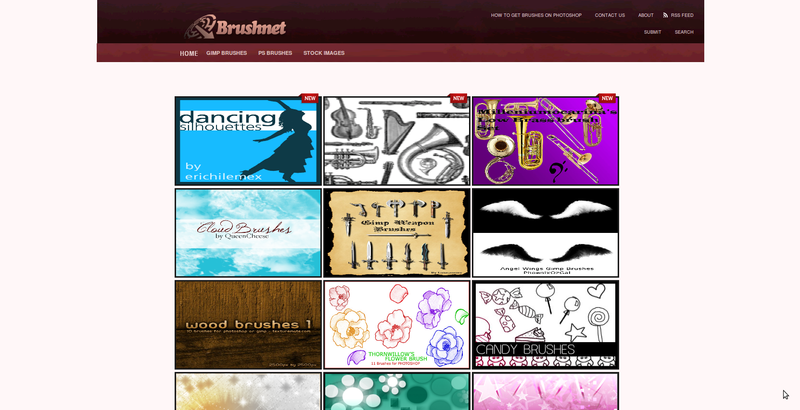 DeviantArt has a GIMP brushes section. TechZilo maintains a list that links to many independent brush collections (which includes several from DeviantArt). Dedicated brush library pages exist, too. Brushnet is a general-purpose raster brush site that has a special GIMP section as well as a Photoshop section. 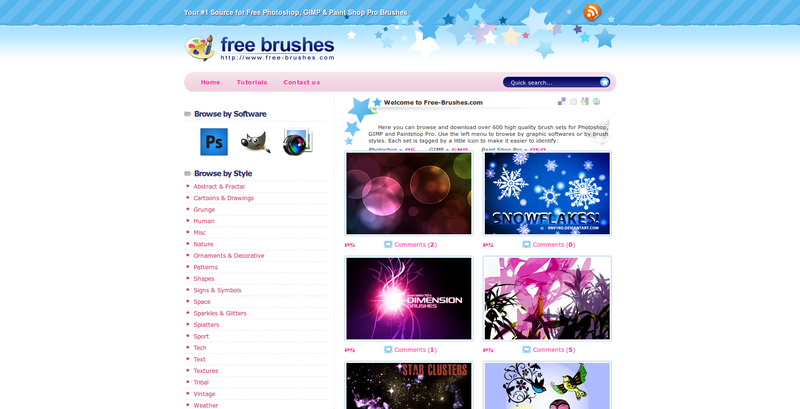 Free-Brushes.com advertises GIMP support, although it does not maintain a separate category. Art and design blogs periodically collect far more than a single post’s worth of brush resources, such as Noupe’s massive collection of over 1000 brushes. Searching for specialty lists can help narrow down the field, too — several of the above sites break down brushes by category, and blogs tend to post narrower collections as regular post content, as in Creative Mac’s film brushes collection. DeviantArt is also a good source for patterns and textures, though you should note that in the case of patterns, GIMP resources cannot be imported to be used in Photoshop. Design community sites like AGDesign also host texture collection libraries; you will also find lots of individual pattern collections on designer’s home pages, like pgd-design or HelensImages. The latter site, notably, contains displacement map patterns, which GIMP can use to create water-like distortion-effects, in addition to traditional textures. 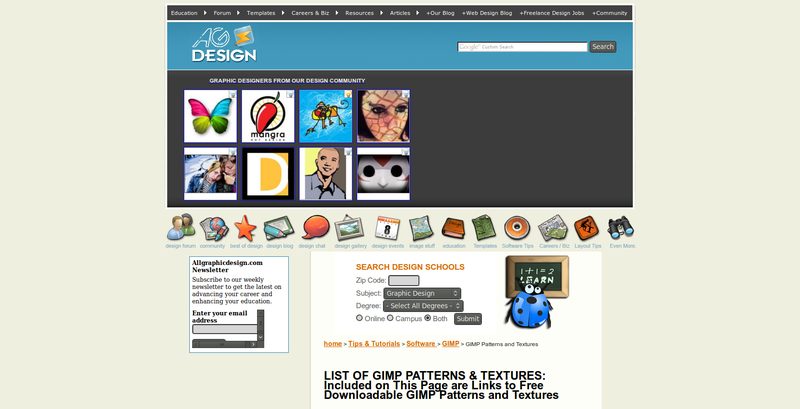 Finally, several tutorial sites also stock texture and pattern libraries, such as GIMP-Tutorials.net. Color palettes are a bit different from patterns and textures. 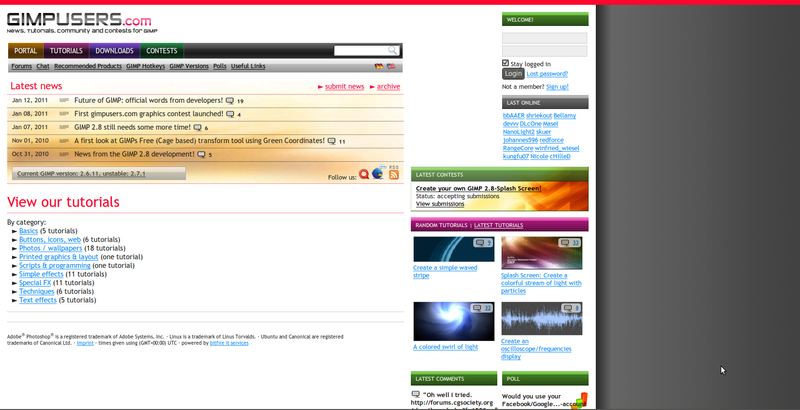 Several of the resource sites mentioned above maintain both, although some (like AGDesign) maintain separate pages. Several DeviantArt collections exist, such as Nevit’s and MarmiteMamie’s. 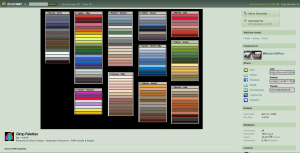 You’ll also find several individual’s collections of high-quality GIMP palettes on the Web, including Tigert’s and ChrisDesign’s. But you can also import color palettes from a a variety of other sources, which opens up more resource possibilities. That includes the Web — the Colorzilla site contains an excellent collection of GIMP-compatible palettes, and the CSSDrive color palette generator can create a palette based on the colors in any image you upload. Last but certainly not least, if you need to create palettes yourself, the Agave desktop tool is the best utility available on Linux. Arguably GIMP’s most powerful feature is its scriptability; plugins and scripts are available in several scripting languages that extend its functionality with new tools, effects, filters, even additional image formats. 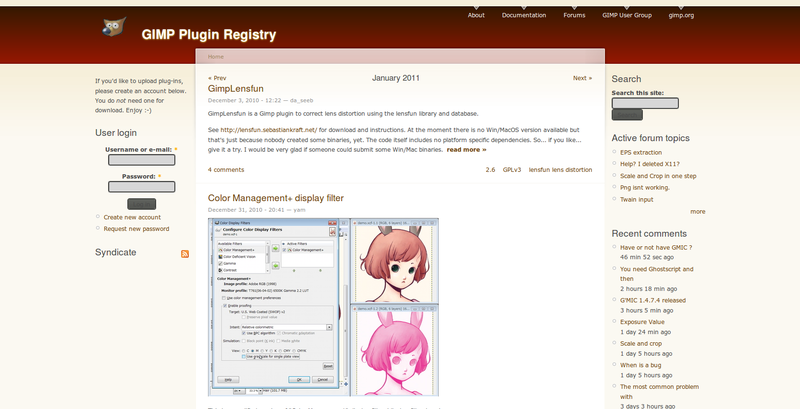 The canonical list of known GIMP plugins is the official GIMP Plugin Registry. It houses the full catalog of extensions, and is searchable by popularity, keyword tagging, and more. 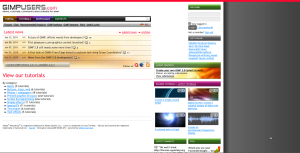 The main registry page also hosts a news feed of new plugin releases and updates. There is also a registry user forum where you can ask plugin- and script-specific help questions. If that seems a little daunting, that’s okay. There are also third-party sites and lists that pare the library down into more manageable chunks. 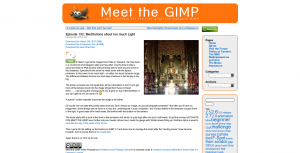 The Open Source Photography Flickr group maintains a GIMP Scripts page, as does TechZilo. DeviantArt maintains a separate resource category just for GIMP extensions. Finally, as with the other categories, you’ll also find good special-purpose lists maintained by blogs or individual artists. Kevin Cozens maintains an excellent scripts page at his personal site, and TechZilo has — separate from its main resource library listed above — an editor-maintained list of plugins useful for users used to Photoshop. As was true with Inkscape, there are far more design resources out there that are useful in GIMP than just those created for the GIMP itself. Here again, the Open Clip Art Library site is a valuable resource; a community-maintained of user-created designs and graphical elements, all of which is free to use under public domain terms. Similarly, the Open Font Library is a resource site for typography available under the Creative Commons Attribution-ShareAlike license; you can search for fonts to use in any of your projects without fear of running into licensing trouble. 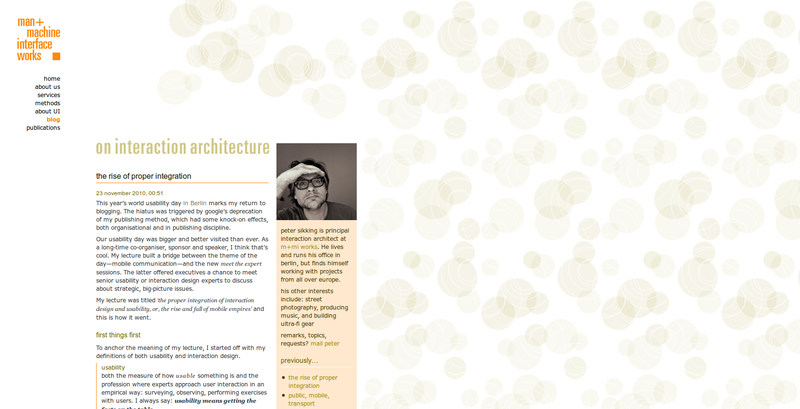 Its wiki can also be a valuable way to find open typographic resources from other projects. 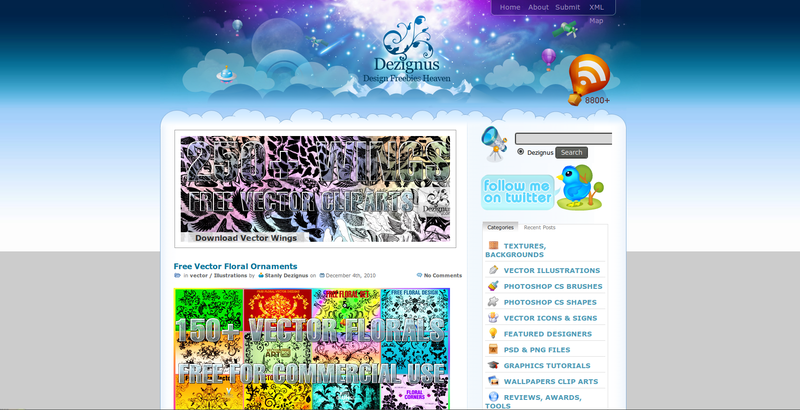 Also check out design sites like Dezignus.com, SixRevisions, or other artist blogs. Finally, when you’re looking for design resources, don’t forget that GIMP has full import functionality for Photoshop’s .PSD file format. 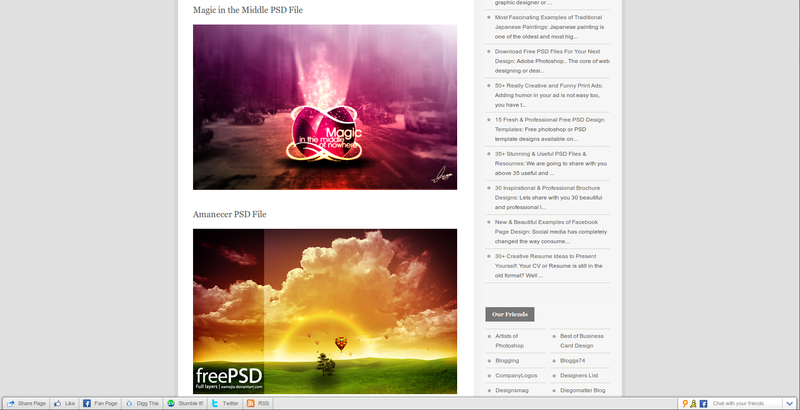 That means you can include anything that bases its templates around PSD files. This includes design mags like SpeckyBoy, the PSD section of community sites like DeviantArt, blogs like Lava360, or PSD-centric sites like Official PSDs or FreePSDFiles.net. This entry was posted in Uncategorized and tagged GIMP on May 11, 2011 by wlmanager. Thank you so much,, very helpful..
Sweet, thank you! GO GIMP!!! This is a fabulous post! I’m loving all of the sites mentioned here. The Libre Graphics World site is awesome — looking forward to Gimp 2.8!